Self Created, Non-Editorial links are those that you create yourself on other people's web properties. These could be blog comments and forum posts. Read on for tips for finding relevant web pages where you can create links. You should be careful when creating links in this way because your links will be considered spam if you not provide quality content as well. Your comment needs to add value to the blog post by asking a legitimate question, answering someone else's question or adding some good quality content. Its best not to put links in your comment, rather to put your link in the appropriate field (usually under the email address field). You can find blogs and posts related to your website by doing a Google Blog Search or a Blog/Post Search on Technorati. You can build quite a few good quality links from posting in forums relevant to your to subject. Well placed links will bring you both traffic and search engine favour. You are expected to contribute good quality posts in order to earn your links. Many forums require you to make a certain number of posts before you're even allowed to include links. I just joined the V7 Network and they require 30 high quality posts before I get the right to include my signature. When you are allowed to include links to your website, don't put them in the post body. Links back to your website/s belong in your signature. This is an area at the bottom of each post. You should be able to edit your signature in your forum profile. I would focus on joining a few good quality and highly relevant forums to really focus on rather than trying to target as many forums as possible. Write good quality posts and ask legitimate questions and only post your links where and when allowed. Check the forum rules for clarification. You can seek out forums in your niche (subject) by searching on Google and using the 'Discussions' filter in the left hand column. Article Directories- There are many of these throughout the web. Blogs- Either by being a 'Guest Blogger' for that blog or by swapping blog posts between your blog and their blog. The Manual Suggestion & Approval method of link building involves requesting, submitting and suggesting links to various sources such as directories, link lists and blog roles. Read on for some guidance on who to seek links from. Submit to the local directories and industry specific directories first, these are the most relevant links. Then look for any reputable directories that will take your links. Request links from your suppliers or those your supply to and any businesses that you deal with. You can do a back-link analysis on your competitors and similar businesses to yours for ideas on who to ask for links. Remember, links that look natural have more weight in the search engines. Try and request links within the main body of content. Vary the anchor text that the linker uses to link to you. Editorial links are those that a webmaster simply decides to give you because they like your material. Here are some tips to increase the likelihood of obtaining links like these. Editorial links are what search engines give the highest value as they are considered the most natural links. By the very nature of editorial accumulation you cannot affect the creation of links directly but there are several things you can do to improve the chances of getting editorial links. Link Baiting is creating something that is actually good and useful so that people will discuss it on forums and social media, share it on social sharing sites and link to it from their websites and blogs. Here's a list of ideas for creating great linkable content. Another good idea is to build a useful tool such as the Link Bait Generator. Promote your content through social networks, social sharing, press releases, blog commenting etc. The more people who look at your content, the greater the chance of gaining links. You can encourage linking by including a script or tool that will automatically provide a link back to the linking source such as with trackbacks on blogs. This method borders on 'self created- non-editorial' links. For your manual link building efforts you should try to make your links appear as though they are natural editorial links. There are a number of factors about the nature of the link and linker (linking source) that indicate whether a link is natural or not. Who's providing the link (the linker)- If the linker is a directory website then its likely that the link is not natural. Where on the linker's page the link occurs- Links within the main body of content are considered to be more natural than links in the header, footer or sidebars of a webpage. The link's anchor text- If all your incoming links have the exact same anchor text this is a hallmark indication of unnatural accumulation. When the links occurred- Natural link accumulation tends to be more erratic than constant. I caught up with Clayton Wehner, Director of Bluetrain Enterprises, in January to discuss Internet Marketing principles, tips and advice. (Clayton's answers are in italics). What is an internet marketing plan, what are the key parts and how should it be used? How important is it to have a website optimised for mobile/smart phones? Is it important for all businesses? Increasingly important, especially for Business-to-Consumer (B2C) businesses that deliver advice or information to their customers. In th first instance, I think it is more important to have a website that can be viewed easily via the web browser on mobile devices. This is more important, and cost effective, than developing mobile apps for all the different operating systems out there. What are 5 simple things anybody can do to improve the internet marketing of their small business? In your experience which aspects of internet marketing get the best ROI? Search Engine Optimisation (SEO) by far- You can teach yourself, so it's cost effective and the returns can be fantastic; the only cost is your time to produce content and obtain inbound links. As an example, our online bookstore Boomerang Books attracts over 6,000 unique visitors per day due to solely to SEO efforts. Pay Per Click (PPC) comes in second- it's trackable and directs motivated buyers to your website, albeit at a cost. How should flash be used in website design? Sparingly. It's a good technology in small doses. It provides some pizazz to impress your visitors at first glance, but shouldn't be used throughout the website. Importantly, navigation elements or text should not embedded in Flash as many search engines have difficulty indexing such pages. Twitter - simplicity is its charm, but I'm not convinced that it is here to stay. I'd say that it's likely to be bought out by Google, Facebook or Microsoft and I have no idea how it would be incorporated in to the wider offering of one of those behemoths. Facebook - has widespread appeal and has more substance than Twitter. There are many more detractors for Twitter than for Facebook. Whilst we use Twitter in our business, I do find lot of the information posted on Twitter banal. That said, Twitter works well for a lot of businesses and, if it fits your business objectives, then it's worth using - particularly as it doesn't cost anything to use. Do you have any tips for outsourcing your Internet Marketing? Beware of outsourcing because there are a lot of people who claim to have expertise in this field - proceed with care. I recommend that you have a face-to-face relationship with the person who is undertaking internet marketing activities on your behalf. I'd also suggest that you should learn as much as possible yourself about internet marketing, so that you don't have the wool pulled over your eyes. Which internet marketing publications/ newsletters/ other sources do you subscribe to and/or recommend? Clayton Wehner is the Director and Project Manager at Bluetrain Enterprises. He is also Managing Director and Co-Owner of Boomerang Books- Australia's Online Bookstore. The conversions and methods for tracking them on the website for the Superplay Cafe. If you look back at my Determine Conversions post for Superplay you'll notice that a number of the conversions require an offline activity which makes them more difficult, although not impossible, to track. This post deals with onsite conversions that we can track. Moving the mouse over a particular section of the page is a rough indication of where a person's attention is focused. However it is certainly not a hard and fast rule. You need to work out exactly what your want your website visitors to do on your page. You can have multiple Call's to Action if there are several different things your visitors can do but you need to pick the most important to make your main call to action. The main Call to Action should be something that will go towards completing a conversion and hence achieving your goals. The call to action should stand out from the rest of the page in order to draw the attention of the visitor to it. This is commonly done by using a button of a different colour and greater size than the other elements on the page and putting it in a prominent position. Have a look at the call to action design examples in this Smashing Magazine article. The web development and design for Superplay Cafe including content, technology and design. You can see the finished website here: Superplay.com.au. A lot of what I've done for the website is evident by going and visiting it (link above). I have made some notes below outlining the various aspects of the development process alongside the corresponding Web Development steps from the internet marketing plan. Articles- We used short sharp and shiny articles (copy), consisting of short paragraphs, tables and dot points, to allow scanning and get the point across quickly and easily. Onsite SEO- We included keywords from our research in the titles, headings and copy. Look & Feel- Simple design with colours from the logo repeated in the page design. Usability Research & Testing- to be completed at a later date. Products/ Services: Web consulting and training services for small-to-medium sized organisations. Public speaking, website 'health checks', providing the full spectrum of advice on existing websites... seo, usability, design etc. Tony McCreath of Website Advantage was nice enough to let me interview him in December last year. He gave very informative answers about internet marketing, especially search engine optimisation. You can find the interview below, Tony's answers are in italics. Internet Marketeers: These people have a purely online business and making money through affiliations, advertising and selling virtual products, such as eBooks. In my opinion, quite a seedy world full of people wanting to make a quick buck, and normally from conning the newbies out of their cash. I work with brick and mortar businesses. For them, internet marketing is the process of promoting their business on the web. Normally to increase profits, branding and reputation. often spent a lot on development work, before they think about why they are going online, and what they should do to best reach their goals. Having goals is a key part of a plan, and it’s best to define your goals in a measurable way. “10 new customers per month”, “$1,000 of sales per month”. Once you know the goals then you can start planning to achieve them. Attracting qualified visitors is often a requirement, and directing them towards your goals is another. These are often activities that get forgotten in the rush to create a “cool” website. The plan is there to keep you and your client working towards your real targets. I don’t think it is important unless your business has a specific relation with mobile phone users. Getting your page title right is little work for big gains. Use Flash for parts of your page that you don’t want to be indexed by search engines. Ignore those people saying Google can index Flash. It’s true, but very limited. The people saying this sort of thing are Flash developers that are running out of work! re stuck with using a Flash or AJAX only website, there are advanced ways to improve their indexing. I did an AJAX Experiment a while back that worked with Google. Compare DIY/in house internet marketing to outsourced internet marketing. What are the likely differences in returns? Many of my clients have done some research and tried it on their own before coming to me. ated their chances of getting any return on investment. Some have actually done some things right. A recent client was already targeting their best market based on basic SEO knowledge and good guesses to where the market is. The problem is that there are many snake oil salesmen or novices in our business. If you go it alone you risk learning outdated or even detrimental techniques. At the same time, how do you know that the guy you hire is good at what they do, or is just going to take your money and run! I think this is why almost all my clients are locals who can talk to me and see me in person. It’s the only way to create a reasonable level of trust. is the first thing you do when you bring on a new client? Look at their website….cringe! What’s funny though is I don’t look at how pretty it is. I look at its potential to do well with Search Engines and how it sells itself to its visitors. Often fancy effects are a negative on both points! I try and get my clients to fill in a simple questionnaire. You’d be surprised how hard it is to get basic business information, let alone clues about a clients target market and business policy. For me, the most important thing to do is keyword based market research so I understand where the true market is. I love it when this research reveals a new market/product for my client! If they have a website I then analyse it and provide a report on what we need to do so that it does its best with search engines and visitors. Do you do any original research? If so... Do you publish the findings anywhere? How do you use the findings to better your products and services? Writing my own data analyse tools means I keep finding new avenues for further research. One off-shoot from this is my Adelaide Top 100 Website Businesses that was very popular, so I followed it up with an Australian version. onth I developed a tool to find out which categories a business should add into their HotFrog listings to get the most exposure in their market. I also follow a lot of the technologies that are about to emerge, and that has resulted in a few experiments in my SEO Sandbox. Currently I am playing with semantic mark-up (RDFa, Microformats). Flying Solo- Great for general advice related to Australian small businesses, and has some good internet marketing experts around. The V7 Network- Currently my favourite SEO forum. Helps both beginner and expert. The Startup Club- I've found this a great place to Network outside the internet. Tony McCreath is the Director and Owner of Website Advantage, a Search Engine Optimisation, Website Promotion & Internet Marketing Company in Adelaide, South Australia. You can find his contact details here. The internet is very well set up for evaluating ROI as almost everything is measurable to some degree. With the aid of analytical tools you can determine exactly where your new customers came from and therefore which aspects of your internet marketing efforts are successful and which aspects need improvement. The gain from investment can be determined by looking at how many Conversions the website generated and the value of each conversion. The cost of investment is the total costs associated with the project such as developing the website and other web properties, doing research, developing strategies. The ongoing costs include things like link building, advertising and content creation. Google's free website analytics tool, Google Analytics, is a great option for tracking the conversions of your website. Using the Goal and Funnel features you can determine the path people took to eventually convert or where they dropped off the path if they didn't convert. Competitor research for the Superplay Cafe case study. Most of the work I've done for this is in the Google Spreadsheet: Superplay Cafe Competitor Research. This post contains a summary and analysis of the data collected in the spreadsheet. Competitor Research- Determine who your online competitors are in order to analyse them. Method: I searched in Google for several phrases relating to the business and noted the competitors. Results: The competitors are listed in the 'products' tab. Benefits Analysis- What are the key benefits of their (your competitors) products that they are highlighting? Method: Looked at some of the key points made on the home page, the key links and anything than was highlighted in a summary that might suggest it is one of the key benefits of the product or service. Results: The 'Product' tab has a section listing the main benefits. Pricing Analysis- What are the prices of their products and services? Method: Go to each competitors website and look up their prices. Results: The prices are listed in the 'Product' tab. Content Analysis- What kind of content do they have? Is there anything important missing? Method: Had a look at each website and picked out some of the marketing methods or tools they were using. Results: The results can be seen in the 'Marketing Tech' sheet. Targeted Search Term Analysis- Which keywords are they targeting? Method: I looked at each website and used Keyword Density Analysis tools (see tools page) and PageRank and domain age tools (see tools page). Results: The results can be seen in the 'SEO' sheet. SEO Analysis- How well are they Search Engine Optimised? Method: This analysis was done in conjunction with the 'targeted search term analysis,' (see above). Results: In general I noted a medium to low about of Search Engine Optimisation. See the 'SEO' tab for more results. Technology/Tool Analysis- What technologies and tools are they using? This analysis was done in conjunction to the content analysis (see above). Usability Analysis- What are the usability strengths and weaknesses of their web properties? I have not completed any usability analysis at this stage. Functionality Analysis- What are the primary functions of their web properties? Is their any important functionality missing? I didn't go as far as to do an overall strategy analysis. I will have to follow up on this in the future. Here's a list of Adelaide Internet Marketing Blogs, Twitter Streams and Facebook pages. The first list contains the best internet marketing blogs in Adelaide, judged by my standards. I like to see blogs that have original and interesting content, are updated at least once every two weeks, have a clear author or author's page so I know who's writing and allow comments with a link back a website of the commentor's choice. Find me on youtube/webmarketingadelaide. I also maintain a playlist of Internet Marketing Tips from Adelaide Professionals. If you or someone you know should be on this list then feel free to contact me: nick.morris at this domain. A list of all the social media tools and technologies a company might use in their social media marketing campaigns. I got this list directly from a brilliant article on Mashable. Their article also has links to examples of companies using each type of technology. Theres no way you could expect to pursue all of these options in your social media marketing strategy. You need to pick a technology (or a few) that is right for you and your business. Facebook pages have the advantage of having their updates appear in their fans' news feed. But, not every fan sees every update. Facebook uses a 'post quality score,' basically how frequently your fan base engages with your page, to determine how many fans see a page's updates. Therefore it is definitely in your best interest to learn how to be more engaging to your audience. For this article, I enlisted the help of Julia George, an Adelaide based Marketing & Communication Manager, Ben Teoh, Organiser of the Adelaide Flash Mob and Ann, Organiser and Promoter of Adelaide Zombie Walk, who are all successful users of Social Media. (My questions are in italics). Whats the best way to get more fans/followers? Do you have any tips for getting more exposure to your posts? Is there such a thing as too much information, ie. too many facebook or twitter updates? What's a recommended frequency of updates? How should businesses avoid turning their fans/followers off when they're trying to push their products/services? Big thanks to Ben Teoh, Julia George and Ann for sharing their thoughts and experiences on Engaging people with Social Media. sources: allfacebook.com, Interview with Ben Teoh (Dec 2010), Interview with Julia George (Dec 2010), Interview with Ann (Dec 2010). Competitor analysis is the process of determining who your competitors are on the web and how they conduct their business so you can identify opportunities to increase your profits. Your online competition can be identified as those who are competing for the same potential customers as you. They are often those who rank highly for keywords associated with your products or services. They can also be those who are competing for the same traffic as you from sources such as paid advertising, social media and directories. I found two really great articles from Allied Internet Productions covering Competition Research and Competition Analysis so rather than going in to depth I will refer you to them for more info. There can be a fair amount of overlap in the research done for 'Competitor Analysis' and the research done for other aspects of your internet marketing. Your SEO analysis should include a backlink analysis to see which websites are linking to your competitors. This information will come in useful when you come to do Off Site SEO and are looking for websites to link to you. See all recommended of Adelaide's recommended Internet Marketers in our directory. Video Marketing is the process of using online video as a method of communication information to potential customers to convert them into sales and leads. How do you get more fans & followers? Promote through your offline marketing.Have a 'like' and/or 'follow' button on your website as well as sharing tools on each page. On Twitter having lots of followers may give you some credibility but its more important to get the right followers.Facebook- Organically, get people to interact. Be sure to follow Facebook's Terms and Conditions. I have seen several prominent pages with strong followings shutdown for running and illegal competition. The search engines are trying to return the best results for a given search. Internet marketers, SEO's and website owners are trying to make themselves or their clients rank closer to the top, regardless if they have the best website or not. As a result, Google keeps their ranking algorithm mostly private to prevent people from exploiting the ranking factors that they use. 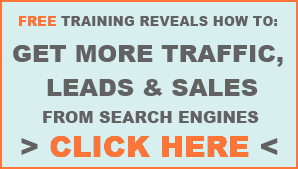 This doesn't stop the internet marketers because the potential reward if they are able to figure out how to rank well is enormous. What results is a constant cat and mouse battle between Google and the internet marketing and SEO companies. Google is so sophisticated now that many SEO experts agree that the best approach is to try and follow Google's guidelines, and produce the best content, rather than trying to cheat your website to the top. Google is upfront about some of the factors they use and some others have been figured out to a high degree of certainty by experts in the SEO community. The links below have the most up to date information regarding ranking factors and Google's guidelines regarding SEO. Give it a shot! It's costing you more money not to try Adwords. Link building is an important part of search engine optimisation. Many search engines, most notably Google, consider links to a website as votes for that website. The authority and weight of the vote depends on the quality, relevancy and authority of the website providing the link. Wicked Cow Marketing provides Link Building as part of their SEO Services for Adelaide and the Adelaide Hills. They focus on content development, link building, on-site optimisation and social search. Is Article Syndication White Hat? Facebook Marketing is any use of Facebook for marketing. Price Range: Varies depending on client needs. Address: 99 King William Road, Unley, SA 5061 Australia. Sources: media-mouse.com, Interview with Ian Reilley (Dec 9th 2010). The process and results of keyword research and analysis done for the Superplay case study. The terms the research showed we should target are highlighted in yellow on the results page with preference given to those closer to the top. I discarded some of the terms on the results page as I thought they were too general and too competitive for a new website to have a chance ranking for. The steps for creating the web properties that will deliver the content to your visitors and drive them to convert into customers. Content should always be put before design. The order of the steps indicates the order they should be done in as well as a rough guide to the importance of each step. For instance, Content is always more important than design. You should start developing content early as it can be quite time consuming. This is the technology that will house and deliver your content to your market. Included in this step is determining which web properties you want to develop eg. Website, Facebook Page, Google Place Page etc. The structure of the content is an important step which should be considered as the content is being developed. It encompasses the structure and layout of each page and the structure of all the pages. It also includes the navigation system through which the different pages are accessed. Design is the look and feel of the website. The design should work with the technology to highlight and enhance the content. This step is an ongoing one which should be revisited often. Conversion optimisation relies on continually testing and improving the web properties so that more visitors convert.